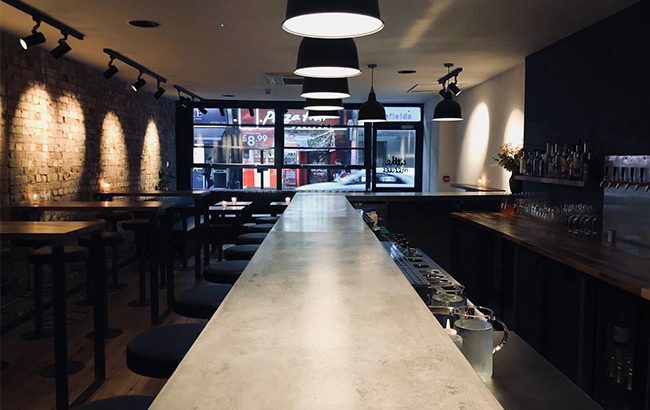 This north London drinking den has seen Max and Noel Venning, the brains behind Three Sheets, collaborate with Alan Sherwood, previously of Scout and Peg + Patriot. “We’re a local neighbourhood bar specialising in easy­-drinking cocktails, with good wine, draft beer and delicious food,” says Sherwood, the bar’s owner. The space is influenced by the understated minimalism synonymous with Three Sheets and Peg + Patriot, while drinks use modern kitchen techniques behind the scenes to ensure “service is super simple and drinks get to people as fast as possible,” Sherwood adds.